How broadly does this statement of “and so on” apply – only to the composites, or is it that stones, sand and dust particles are all jīvas? Should the ultimate indivisible particles, which are also called paramāṇus, be taken as some dead Brahman substance? Answer: All particles in Vaikuṇṭha have life. There is no dead Brahman substance. Question: Whose life, or how alive? Answer: Its own life. Its intrinsic nature is consciousness. First of all, “the composites, stones, sand, and dust particles” are not jīvas. Cintāmaṇi is the internal potency and so are all these composites. Just as the material world is made of prakṛti and its evolutes, so Vaikuntha is made of internal potency that has been named as cintāmaṇi in Brahma-samhitā. It is not a dead Brahman substance but alive. One needs to rise above material logic to grasp it. Examples have their limitations but there is no other choice but to give a material example to explain a non-material subject. The mistake we make, which is natural, is that we cling to the example. The purpose of example, however, is to transcend our conditioning and get a peek into the non-material. Question: What is this cit substance then – is it a Brahman plenum with the śuddha-sattva-guṇas making variations (as compared with the concept of modern science according to which the structure is wave-particles or wave packages, or energy fields)? Answer: There is nothing in the material world that compares to it. It is like an energy field but it defies all material laws. 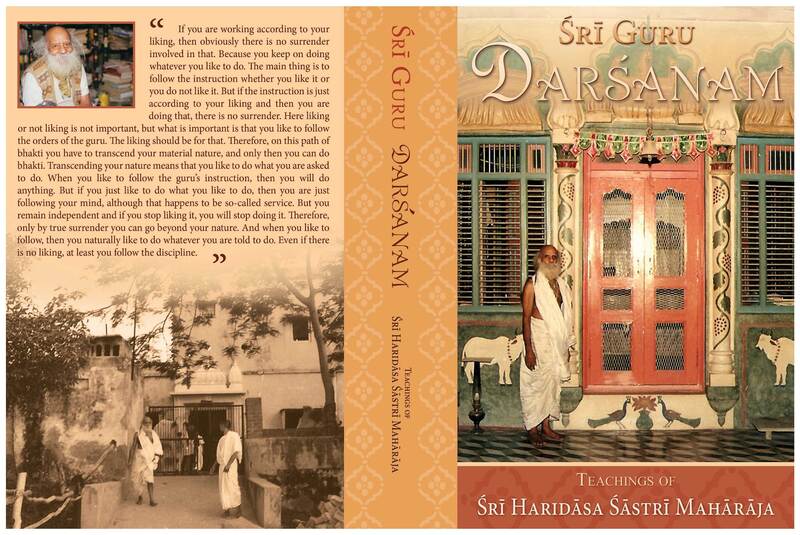 Question: On pages 98 and 100 of Ṡrī Guru Darśanam, Ṡrī Haridās Ṡāstri Mahārājaji provides answers to questions regarding the meaning of the Hare Kṛṣṇa mahāmantra. The names of Bhagavān in the mantra, i.e., Hari, Kṛṣṇa, and Rāma, are stated to be in the vocative case. 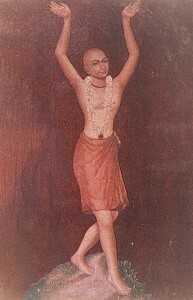 Also, on page 100 it is explicitly stated that the Name cannot correspond to Harā, i.e., Rādhārāni, on the basis of Mahāprabhu’s being Himself in the mood of Ṡrī Rādhā, and that it would thus not have made much sense for Him to chant Her name. Please kindly clarify these matters so I may settle on a definitive understanding. Answer: The mahāmantra can be interpreted in many different ways according to the mood of the interpreter. The three words used in the mahāmantra are all in the vocative case. “Hare” can be a vocative of “Harā” or “Hari.” Depending on the mood of the chanter, he or she can take it as an invocation of Harā or Hari. 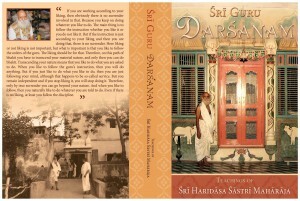 What my guru says in Guru Darśanam referred by you is in the mood of Caitanya Mahāprabhu. As is well known, Caitanya Mahāprabhu is in the mood of Rādhā, so it is natural that He would call out for Kṛṣṇa. But if a devotee wants to chant it as an invocation Rādhā and Kṛṣṇa, taking “Hare” as an invocation of Rādhā, that is also possible, and this is how Jīva Gosvāmī has interpreted it. He did not say that this is the only meaning. So there is no contradiction.